Playtime is much more than a time-killer or a cheap way to keep your kids busy, especially if schooling and play-dates haven’t happened yet. Their playtime can be both fun and beneficial; incorporating fun toys that promote learning at this early stage in their lives helps to build key skills that they will need as they grow up. Even the most basic puzzles can do wonders for your little one’s problem-solving skills, especially at a young age. Puzzles provide children with a singular goal to work towards and help them to focus on that goal and think logically to try and achieve it. Jigsaws are a perfect example of this – put the pieces together and you get a lovely picture – simply as that. The jigsaws available from Petite Collage are no exception, with lovely vibrant pictures that your tykes can enjoy piecing together, with extra educational value found in the ‘Petite Collage Floor Puzzle – Our World’. 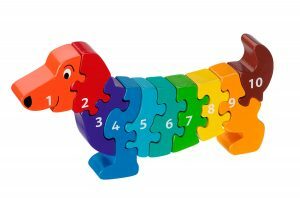 Speaking of education, toys and puzzles are great for helping your child associate learning with fun. As well as problem-solving, many Lanka Kade puzzles not only promote problem-solving but also teach kids about counting. 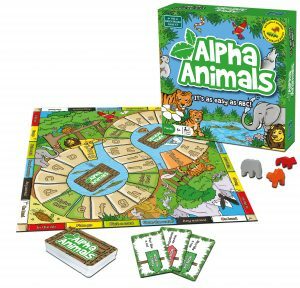 The Green Board Game Company has a variety of board games that teach children about recycling, wildlife and the world around them. Petite Collage also creates a fun memory game and a colourful picture book to teach kids about the difference in emotions Plus, the eco-friendly materials, and manufacturing process of these toys will help to ingrain ethical sensibilities in your children for later life. Putting together puzzles or placing building blocks may not seem difficult to us, but growing children are yet to fully develop their hand-eye coordination. The act of simply placing the pieces of a puzzle in the right order helps them practice their hand-eye coordination – learning to associate their hand movements with what they actually see. The basic wooden block puzzles from Lanka Kade are perfect for this; helping your child apply careful placement and trial and error to create multiple colourful pictures. Another essential skill that needs developing early on is your child’s creativity. Creativity helps your child to master self-expression and lends itself to more complex problem-solving in later life. Maybe they don’t even need to place blocks in the right order. Maybe they would prefer to stack them into the shape of a rocket, or a castle, or a completely new structure brought into existence by their vivid imagination. Building block sets are perfect this; providing a loose guideline for making a specific structure, but allowing children to shape their own unique creations. Although alone time is important for a child at play, you can also use this time to bond with them. Whether you’re helping them with a tricky puzzle or assisting in their next building block project, they’ll always appreciate your company. Board games are great for bonding too, with a brilliant selection of eco-friendly board games available from The Green Board Game Company. For all those times when you can’t be with your child, it’s nice for them to find some companionship in their play-things. Dolls are great for practicing social skills, building self-esteem and giving your child a great sense of security during daunting situations. The adorable handmade Lanka Kade dolls will make the ideal first best friend for your little one. You should keep all of this in mind when getting toys for your children, but most importantly you need to make sure that they’re fun! Ethical Superstore has a wide selection of fun and educational toys, puzzles, and games that your little one will adore. Check out the rest of our toy range for more ethical gift ideas. Interview with Emma Bunton, co-founder of Kit & Kin, Spice Girl and UNICEF ambassador.